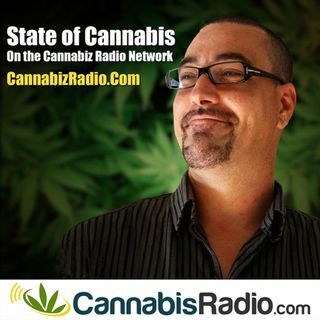 Today on State Of Cannabis we are joined by Perry N. Salzhauer, J.D. LL.M. & Bradley Blommer, J.D. of Green Light Law Group Perry is a corporate and environmental attorney who brings over a decade of experience providing strategic and compliance guidance and legal advice to public and private entities. Perry received his J.D. from Vanderbilt University Law School in Nashville, TN, and an LL.M. in Environmental and Natural Resources Law from Lewis & Clark Law School here in Portland, OR. ... See More He began his legal career in 2002 with the Corporate Securities and Transactions group at Sidley Austin LLP in Washington D.C. and first moved to Oregon in 2005. He has since served as both outside and in-house counsel to a variety of companies, investors, and government agencies throughout the United States, and has already helped launch several marijuana industry companies and projects. As an attorney, advisor, and manager, Perry specializes in streamlining operational, compliance, and management processes to create efficiencies which increase productivity and revenue. In addition to his experience and expertise in all aspects of marijuana-related matters, Perry’s years of experience providing guidance to clients with respect to business processes, SEC, and environmental compliance, makes him uniquely qualified in the emerging cannabis space where navigating compliance with new regulatory requirements, many of which remain to be implemented, looms large as a barrier to entry and ultimate success. Brad Blommer is a litigation and real estate attorney with over 17 years experience. He began his legal career as judicial law clerk to a trial court judge and practiced in Washington D.C. and Maryland for seven years, which included numerous bench and jury trials and appellate arguments in the D.C. Court of Appeals and in the Circuit Court of Appeals (DC Circuit) before now Chief Justice of the U.S. Supreme Court John G. Roberts, Jr. Brad fell in love with Portland on a trip with friends and moved to Oregon in 2005. With significant experience in all areas of trial practice, real estate transactions and disputes, foreclosure law, and creditor’s rights, along with a detailed understanding of the current marijuana laws, Brad provides legal advice and counseling from a diverse perspective. Additionally, having founded and run a real estate investment company in Oregon, Brad has significant real world business experience to better serve his clients.